When it comes to the tires that are on your vehicle, you know they will not last forever. Same thing goes for garage door torsion springs which are one of the main components in a garage door system in which assists the door to go up and down. Precisely to what extent yours will keep going relies upon a few factors, where one of them can depend on the ratio of use by you and your family member. As an example, a single person who lives alone and is somewhat of a home person, you can expect your garage door springs to last extensively in comparison if you were a part of a family of four. In such situation , there are most likely two adults in the household which are going back and forth to work and children going to school on a daily basis as well which will result in broken garage door springs sooner than later. An unwritten rule when it comes to the life span of garage door springs points to the fact each spring may last for around 10,000 cycles which means the times a garage door spring will work to get the garage door open or close. For example, if the only times you use your garage door is when you go to and back from work, it means your garage door springs go through two cycles a day which in turn will point to the fact they will last for about 15 years or more. If in any event you feel that you considered to be a garage door “heavy user”, there are some ways that will prevent you from having to change the broken garage door springs often. Be aware that such job should be left to a professional garage door repair Spokane company as the procedure can be dangerous to someone with no experience or the right tools. The heavy duty type garage door springs that will solve the issue may be double the price of a traditional garage door spring, but will last beyond double the cycles of such spring. If you know you will go through the standard 10,000 cycles in a couple of years, it may be a good option for you to opt into the extended life garage door springs to save you time and money in the long run. 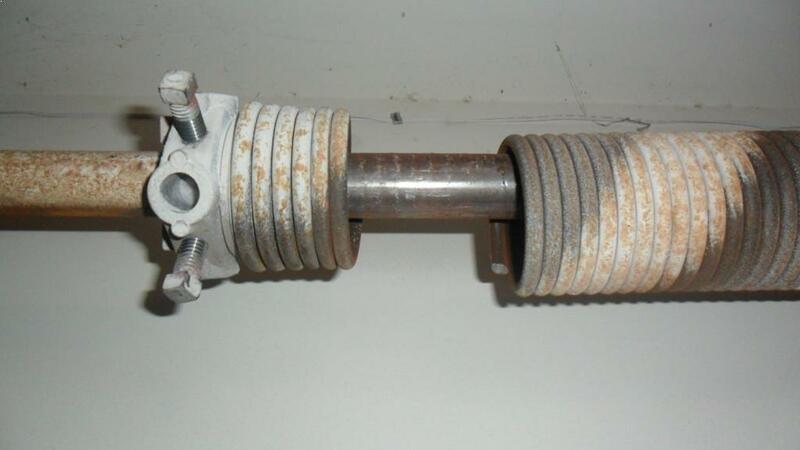 Rust can be a vicious enemy for a garage door spring as well. However, there are some percussion you can take by yourself without even having to call a professional garage door spring repair Spokane technician to do it for you. All you need to do is equip yourself with some WD-40 and lubricate the garage door springs coils frequently every few months along with other garage door maintenance procedures you do that often. That will help prolong the life of the springs as well as the overall operation of the garage door system. It will prevent the springs from rusting which usually cause corrosion and eventually a broken garage door spring.